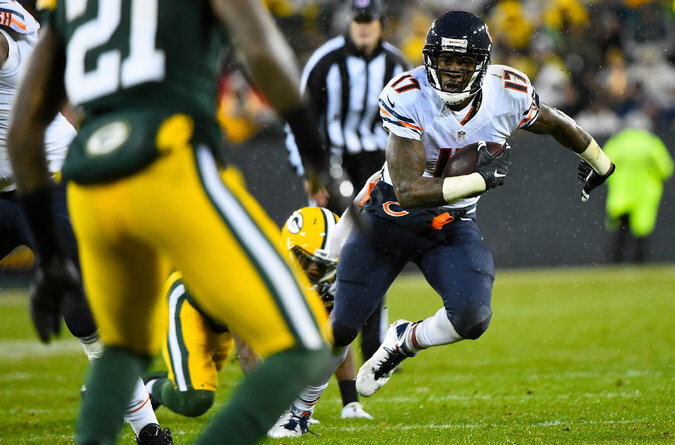 Alshon Jeffery had nine receptions for 90 yards in his return to action last weekend. Fantasy football analysis for N.F.L. Week 13 games, including Monday’s matchup between the Dallas Cowboys and the Washington Redskins. You can also follow the Sablich brothers on Twitter at @5thDownFantasy and see their complete Week 13 player rankings. Jay Cutler (CHI) — In the six games that Alshon Jeffery has played this season, Cutler is averaging 22.2 F.P.P.G., compared with 17.9 without him. Jeffery is as healthy as he has been all season heading into Week 13. Shaun Draughn (SF) — Draughn continues to dominate this backfield in touches with Carlos Hyde out, and is a solid RB2 play in standard scoring leagues against a Bears defense that has allowed at least 10 fantasy points to a running back in each of the last five games.